The news coming out of D23 wasn’t just about the exciting new things coming to the Disney Parks and Resorts. 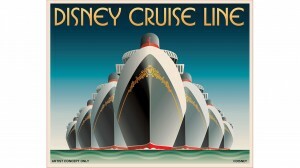 We also heard big news about the Disney Cruise Line. Bob Chapek, Chairman of the Walt Disney Parks and Resorts announced that Disney Cruise Line is building three new ships – which is an update to the announcement in 2016 that two new ships were being added to the fleet. The three new ships are being built at the Meyer Werft shipyard in Germany and will be completed in 2021, 2022, and 2023. The ship names, design plan, and itineraries are still in development and each ship is expected to have its own unique experiences. The ships will feature about 1,250 guest rooms each.